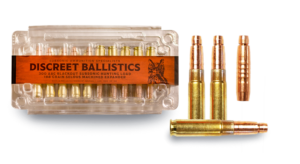 The Discreet Ballistics 300 Blackout 190gr Subsonic Target Load is intended for use in semi-automatic and bolt action firearms chambered in 300 AAC Blackout. 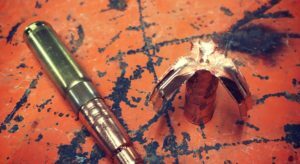 This round has been thoroughly tested to function in both pistol and carbine length gas systems. 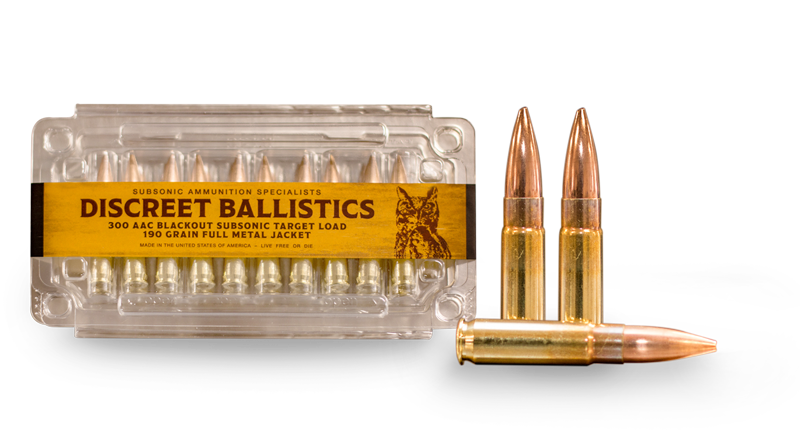 Discreet Ballistics gives its customers the option of choosing these loads for use in 16″ barrels or 7-11” barrels. 300 AAC Blackout is typically chambered in platforms with barrel lengths ranging from 7” to 16”. 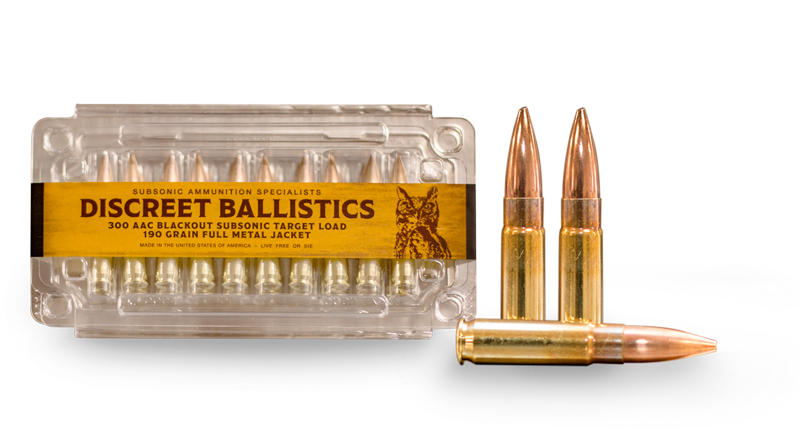 Until recently, any commercially available ammunition had only been available in one load for each extreme in barrel length. What this means is that 300 Blackout ammunition that is designed to have a muzzle velocity of 1050FPS out of a standard 16” rifle barrel will often have a 900fps or less out of a 7” pistol/SBR barrel. At 100 yards this can result in as much as a 200fps drop making it more difficult for the shooter to get on target. 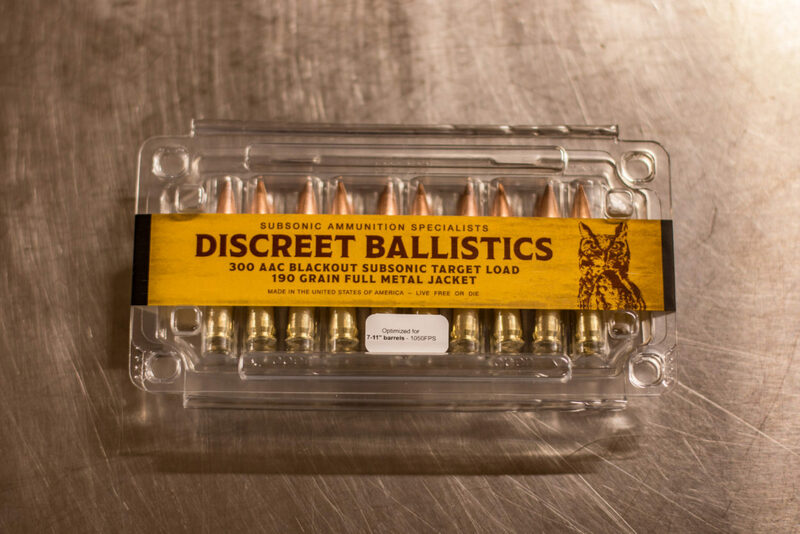 Discreet Bal­listics offers its 300 AAC Blackout ammunition in either pistol/SBR (7-11”) or rifle (16”) barrel loads so that velocity is consistently in the 1000fps range no matter which platform the shooter is using. 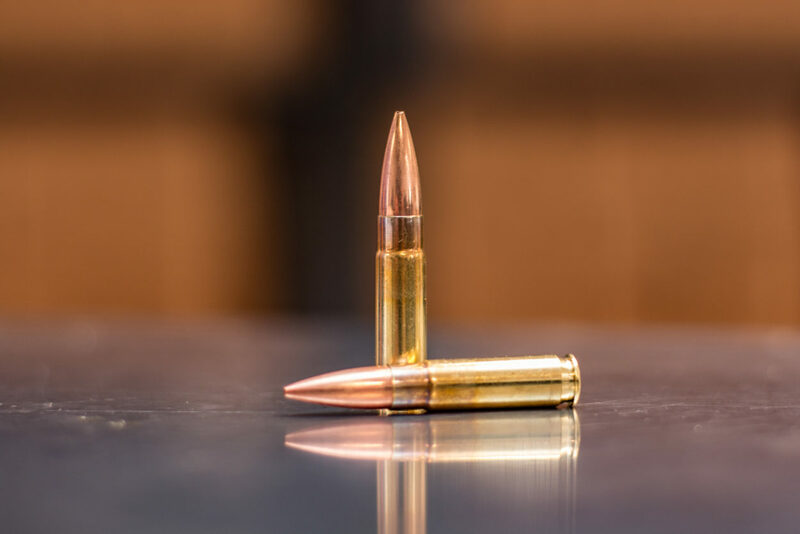 Discreet Ballistics designed this target round as part of a premium two load system that complements the Discreet Ballistics 300 AAC Blackout Hunting/SD system which utilizes a machined copper projectile (Selous bullet). David was awesome about getting me some ammo as fast as possible after deciding last minute what I needed. I was a little disappointed in the 190gr 300BLK subsonic though, it dropped the first buck I saw and ended my hunting trip by 9am with only 1 round. I didn’t even have to walk more than 5 minutes before finding it. Father in law couldn’t believe how quiet it was running through a 16” AAC upper with an AAC 762-SD suppressor! Ran the SBR designated target rounds this past weekend. No feed issues, quiet, and most accurate sub rounds I have shot. The care they take in making it and specialization to your barrel length really pays off. this ammo performed flawlessly in mine and the hubby's 300 blackout. 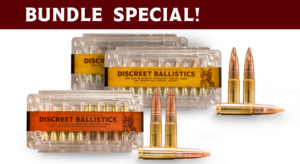 thanks discreet ballistics for a great product! I Finally Found a 300 AAC Blackout Subsonic Factory Load That Shoots 5 Round 1" Groups Even With My Old 9" 300 AAC Blackout Upper Receiver. 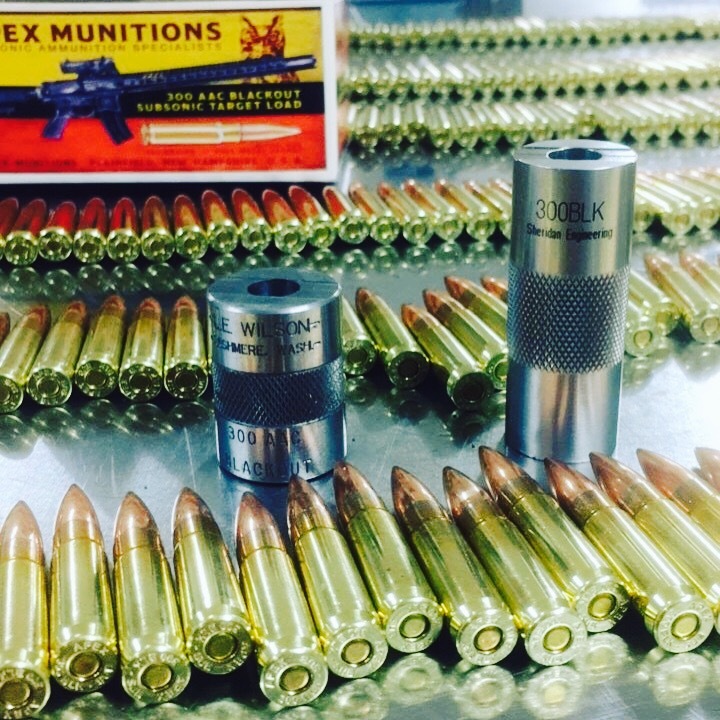 With Several Other Manufacturers Subsonic Ammo I Would Get Huge groups. The Best I Was Getting Was ~ 2.5" Groups From This 9" AAC Upper Receiver. All 50 Rounds Cycled Smoothly and Very Quietly Through The AAC SDN-6 Silencer With NOT a Single FTF or FTE From The 50 Rounds I fired. I Shot 100 Yard Groups From a Bench With 2 Sand Bags Under The Rail up Front and a Small Squeeze Bag at The Rear Under The Stock. There was a Slight 90' Crosswind at ~5 MPH RT to LT, 75' F, Humidity; 68%, Elevation ~1100'. Rifle Used Was an LWRC-IC Lower Receiver, AAC 9" Upper Receiver, Geissele SSA-E Trigger, AAC SDN-6 Silencer, and a Leupold MK6 3-18x44. The 5 Best 5 Shot Groups of The Day Were .73", .81", .95", 1.12",1.17"
Average Group of .96" @ 100 Yards!! Don't have the time to reload for my blackout so I gave Discreet a try. Ruger is now shooting inch groups if I do my part. 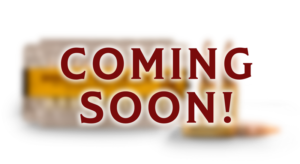 All you hear is the primer and the steel plate!